To kickoff our big E3 2015 coverage, we are happy to provide the entire Halo 5: Guardians cover story from our current issue #267 (July 2015) online free of charge for everyone to read! The follow contains all of the text that our print and digital subscribers receive, though there are a few minor changes to reflect the different format and to address a 343 Industries' decision to require Xbox Live Gold for online co-op play. Enjoy learning all about Halo 5: Guardians! Nearly three years have passed since 343 Industries released Halo 4, its first game in the Halo series after taking over for original developer Bungie. It was quite a debut. 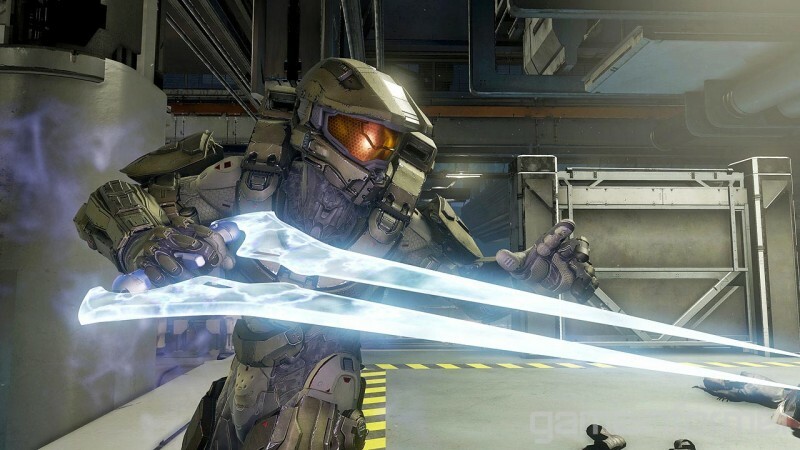 Halo 4 garnered the biggest day-one launch sales of any Halo game to date with $220 million in total. 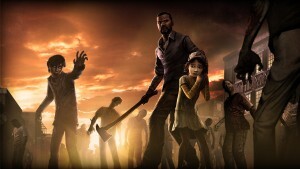 Later, Microsoft confirmed it as the best-selling Microsoft Studios title of all time in the United States. 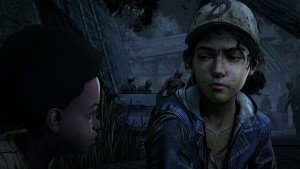 Critical reception was positive, with a Metacritic score of 87 calculated from nearly 90 outlets. However, the multiplayer population dwindled quickly, with traditional fans lamenting class loadouts and Ordnance drops. The studio seemed poised to repeat the sales success with the creation of Halo: The Master Chief Collection. This Xbox One package remastered the four numbered Halo campaigns and all of the multiplayer maps with the classic gameplay fans loved. But excitement quickly turned sour upon the collection’s launch last November. Technical issues were prevalent from the start, especially with online matchmaking. Patches and updates fixed some problems, but frequently created new ones in the process. After formal apologies and the promise of digital goodies, matchmaking was finally stabilized in March and 343 says it remains committed to stamping out the remaining bugs. In the midst of these trying times for the signature Xbox franchise, a bright spot emerged. 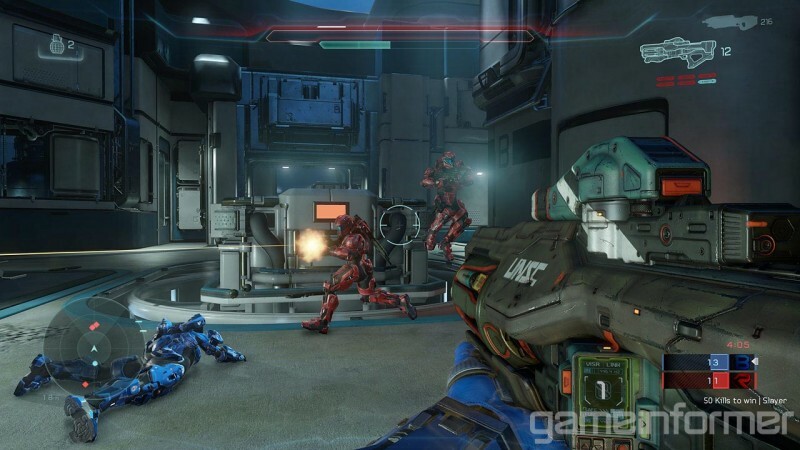 The Halo 5: Guardians multiplayer beta ran for several weeks in late December and early January, showing a return to equal starts for all players and weapon placement on the map. This allowed 343 to test new gameplay elements and map layouts, and also distanced Halo 5 from the Master Chief Collection’s problems, proving to fans that the code and dedicated servers work in the wild right out of the gate. We visited 343 Industries’ offices to play Halo 5: Guardians’ tweaked post-beta multiplayer and got the world-first hands-on time with Master Chief’s side of the campaign (the latter of which you won’t see at E3). This taste of the second chapter of the Reclaimer Saga not only teases a new Reclamation for lore fans, but also serves as a chance for 343 to take back its good name. From what we’ve seen so far, it’s on the right track. After Halo 4 launched in 2012, 343 Industries shuffled its staff around. Halo 4 creative director Josh Holmes was promoted to internal studio head, and he then recruited Tim Longo to take his place on Halo 5. Longo cut his teeth at LucasArts, eventually becoming creative director on Star Wars: Republic Commando. He then spent several years at Crystal Dynamics working on the 2013 Tomb Raider reboot and eventually returned to LucasArts as creative director on an unannounced Star Wars first-person shooter. When Disney bought the company, two years of work on what was likely a Republic Commando sequel were trashed and Longo brought his sci-fi shooter pedigree to Halo. This mix of familiar and new pervades everything we played at the studio. As beta players know, multiplayer returns to structural roots of the original games, yet adds a new twist with Spartan abilities like dashing thrusters and a death-from-above ground pound. Campaign trades off control of series hero Master Chief with new character Spartan Jameson Locke, a similar approach to what Bungie did with Halo 2’s Arbiter. But now solo players are always accompanied by an A.I. fireteam of three that can receive orders or be inhabited by drop-in/drop-out co-op friends. 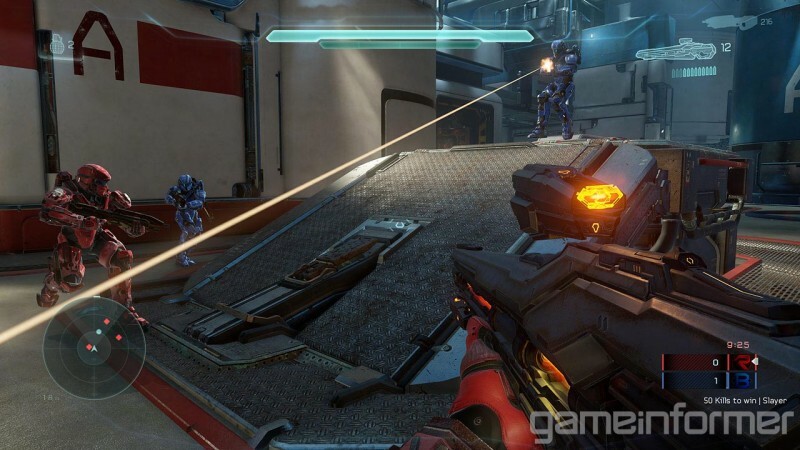 The studio is also creating a new mode that promises to unite everything fans love about Halo. The Hunt the Truth radio drama podcast revealed that Chief appeared at an embassy in the outer colonies during human and alien peace talks and shot up the place, resulting in 19 people killed. He abducted a human ambassador and escorted the alien delegation to safety. Later the ambassador was found dead. This sounds like strange behavior for the Spartan who has saved humanity many times over. Maybe the loss of longtime A.I. partner Cortana in Halo 4 pushed him over the edge. Maybe someone else is impersonating him in similar armor. Whatever the case may be, Chief is on the run with a fireteam of his oldest compatriots, the last remaining active Spartan-IIs: Fred, Linda, and Kelly. Blue Team is considered AWOL by the Office of Naval Intelligence (ONI) and Spartan Locke is tasked with recruiting a squad of his own, Fireteam Osiris, and tracking them down. Players shift perspectives back and forth from the hunter to the hunted, diving deeper into the central mysteries. At the start of the game, however, none of this has happened yet. Audio director Sotaro Tojima returns with his dogged commitment to the most realistic sound possible in gaming. His sound team took loads of reference recording for Halo 4, but for Halo 5 it wouldn’t suffice to reuse them. 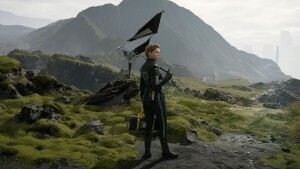 “We decided to design the whole sound from scratch again to update the fidelity for the new-generation platform, Xbox One,” Tojima says. For richer explosion sounds, the team recorded all kinds of debris dropped from a crane. For better bullet sounds, they hid behind a rock, held a mic up, and had someone shoot past it from 1,000 feet away. To capture accurate weapon tail, the reflected sound from the environment when a gun is fired, the team shot off guns in a variety of interior and exterior spaces. As this event unfolds, Chief and Blue Team are still under the command of the UNSC. Our gameplay session begins on the second mission of the game titled “Blue Team.” The squad is sent to investigate and secure Argent Moon, an abandoned ONI research and development vessel loaded with intel that has been missing for two years. The cinematic begins as they find the station floating in an asteroid field and use their new jetpack-like thrusters to disembark from their ship, soaring past the floating debris. The camera cuts to inside the station and we see the covenant is already there. Blue Team opens fire on a large window as they get closer. The covenant draws their weapons on the approaching Spartans, but it’s too late. They crash through the glass and land hard on the floor, using the thrusters to keep their footing as the enemies are all sucked out into space. After the airlock closes, the gameplay begins. Blue Team searches the quiet facility. Fred comments on an experimental stealth class vessel as they pass, and Kelly wonders what kind of research ONI was performing here. “We don’t ask,” Chief replies. Team banter replaces interactions with Cortana and fleshes out the characters and surroundings. Playing as Master Chief, I sneak up behind some grunts in a lab, take them out with melee strikes, and head through the doors to the next area. It’s crowded with the standard assortment of grunts, jackals, and elites, who have gone back to speaking English. All Spartan abilities seen in the multiplayer beta are available in campaign, so I put them to good use. I take out a few grunts and use the thrusters to dash behind cover. I pull the left trigger to bring up Smart-Link aiming for precision shots (think high-tech iron sights that now work with every gun in the game). When the room is almost clear I pop out from behind cover and sprint toward an enemy, taking him out with the running charge melee attack. Next we continue to the data center. Intel at the console indicates that ONI staff was wiped out and most of the facilities have been picked over by scavengers. The path to central control isn’t far, but it requires going through the assembly bay full of covenant. The last officially active Spartan-IIs, this team goes way back to when they were abducted at six years old for the Spartan program. Official bios from 343 are listed below. The hero of humanity, responsible for winning the Covenant war. After Cortana’s destruction, Chief reunited with Blue Team, his ­oldest ­friends. An expert in strategy and battlefield command, Frederic-104 is the highest-ranking member of Blue Team, but usually defers command to the Chief. A highly skilled marksman, Linda-058 is the quietest member of Blue Team, but also the ­most ­observant. Blue Team’s key reconnaissance talent, Kelly-087 is quick on her feet and with analysis of any given combat situation. After some exploration and smaller skirmishes, we come to a brightly colored wall. “Hostiles below,” Chief says. “Charge through the wall and catch them off guard.” I back up and sprint toward the wall, hitting the melee button to smash through. On the other side is nothing but open air, and I fall a couple of hundred feet to the battle area below. The assembly bay is an enormous corridor with tons of vertical space. It’s filled with boxes, ledges, and pipes to navigate and do battle in. I find the Hydra rocket launcher (which debuted in the beta) and fire tracking shots at the covenant as they jump through the environment using their own version of thrusters to get around. Some jackals are sniping me from afar, so I use the new fireteam orders system to get them to stop. 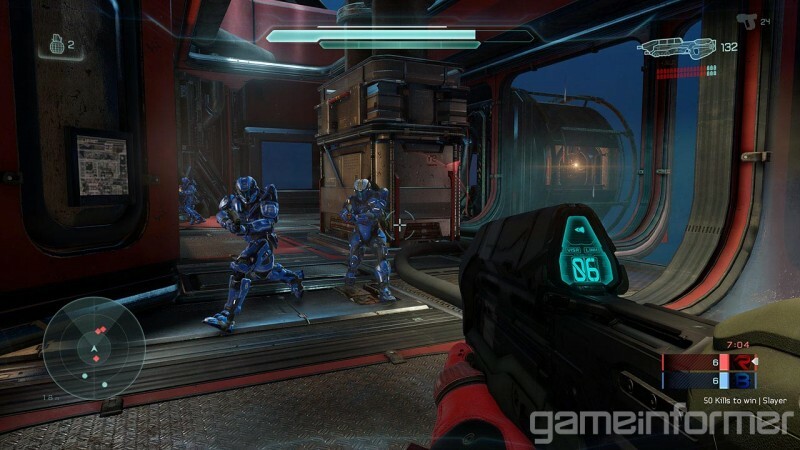 By aiming at a target and hitting up on the d-pad, Chief orders the fireteam to attack that specific enemy. Other commands include picking up specific weapons, using turrets, and even driving a warthog while you use the turret in the back. If a teammate goes down, you can command another to resurrect them. A.I. squadmates can bring you back as well, offering a second chance when you get overzealous. In a pipe suspended high in the air I find a DMR. This long-range rifle is perfect for picking off targets across the map, but after awhile I get closer to the action. I jump off the ledge and trigger the ground pound. This Spartan ability has moved to the melee button on the right bumper from the awkward right stick crouch click of the beta. Chief hovers in the air and a target appears below. No enemies are in range for a slam, but I aim behind some cover and Chief soars to that spot, covering horizontal and vertical space faster than he ever has before. I come to the base of some stairs and an elite rains down shots from above. I dash away and find some boxes providing another way up. Jumping and tapping the jump button once again, I initiate the new clamber ability, allowing Chief to climb up ledges on jumps that are just out of reach. Once up on the platform, I flank the elite and take him down. Once everything is clear, we move on to the next area toward central control. I run over a metal walkway and a large hunter crashes down from the ceiling. The bridge cracks beneath me and I go plummeting into the dark void below. 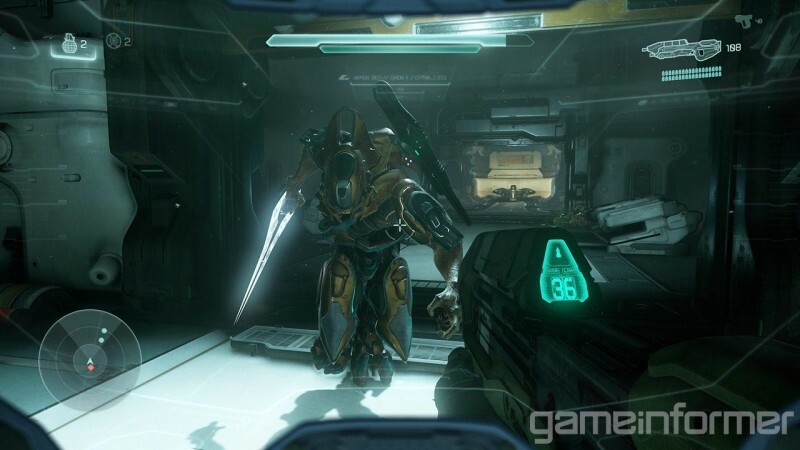 A cutscene shows Master Chief awakening in a strange, dark cave. “Sierra 117 to Blue Team. Report,” he tries the radio. “Sierra 117, does anyone copy?” He starts exploring the area. “John,” a familiar voice calls. He follows the sound and sees a silhouette up on a rock formation. It’s unmistakably Cortana. “The domain is open,” she warns. “Meridian is next. You only have three days. John, the Reclamation is about to begin.” Everything fades ­to ­black. JOSEPH STATEN RETURNS TO HALO? Halo 3: ODST, he knows the series inside and out. When Bungie became independent from Microsoft, he stayed with the developer to work on Destiny for several years. A year and a half ago he returned to Microsoft as a senior creative director, but fans have been wondering if he’ll contribute to the Halo universe. Recently 343 announced that he is writing the novel Halo: Shadow of Intent, releasing December 7. Does this open the door to other things? 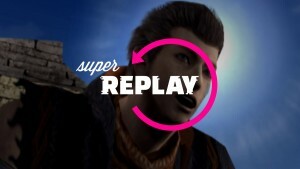 I then replayed the same campaign level again with two of my colleagues and a developer. We all controlled a different member of Blue Team. 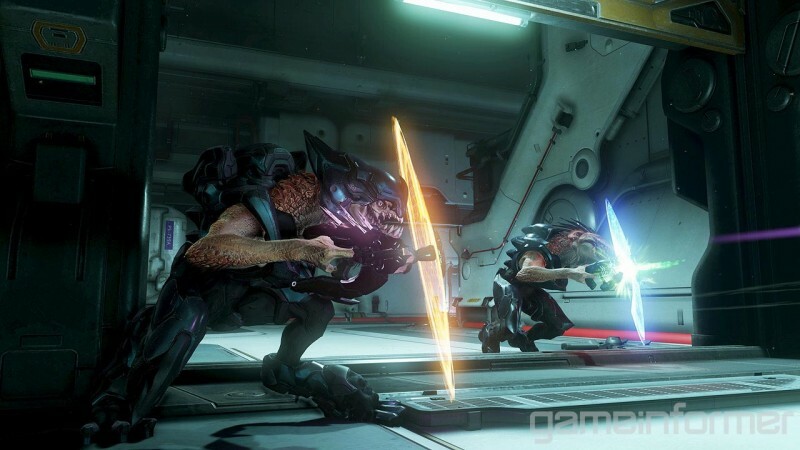 While they share the same Spartan abilities, they each begin with a specific loadout (Linda, for example, always spawns with a sniper rifle) and in the final game all of their HUDs will have a unique look. Difficulty now scales to the number of players in your group, so four-player heroic still feels quite challenging. 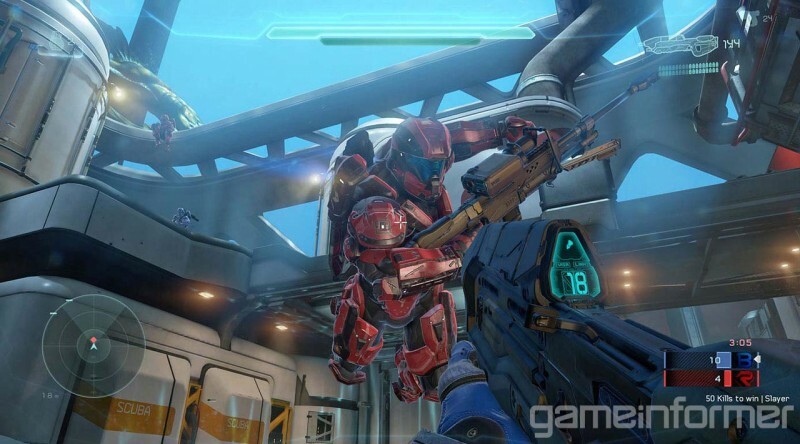 During larger-scale fights we were regularly dying and resurrecting each other, which was less painful than the standard Halo respawn wait as your buddies get to a ­safe ­location. 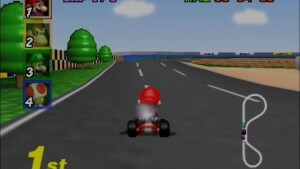 This time through we received a few hints on alternate routes through the level. 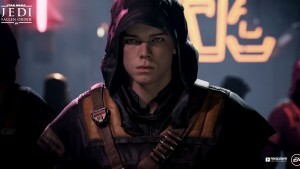 The most notable one involved sneaking through a vent in the grunt room and dropping down on another part of the map for a flanking position while the other team members entered from the ­standard ­door. Halo 5 is full of these alternate paths, and unlike Blue Team, Locke and his fireteam have special access to tech that point these out. This Artemis Tracking System (ATS) also helps with finding clues and collectibles. We didn’t get to try Locke’s campaign, but were provided an example of how tracking would work and how many options players have to complete a level. The only bummer is that split-screen co-op is not supported in Halo 5 due to the goal of ensuring top framerate and graphical performance at all times. A team of Spartan-IVs recruited by Locke, Osiris uses cutting edge technology and skill to track down Blue Team. Official bios from 343 are listed below. Before he was a Spartan, Locke was an ONI Acquisitions Specialist — an expert in tracking, asset recovery, and elimination of ­high-value ­targets. After surviving the glassing of her homeworld, Tanaka joined the Army, looking for a chance to save others from the same fate. A child prodigy, Vale’s innate skill in languages led to a career as a Navy liaison with the ­Sangheili ­post-war. After player numbers dropped off and remained low for Halo 4 multiplayer, 343 decided to ditch that loadout style and return to a more traditional format for Halo fans in Halo 5's Arena mode. But that’s not to say this is a simplification. 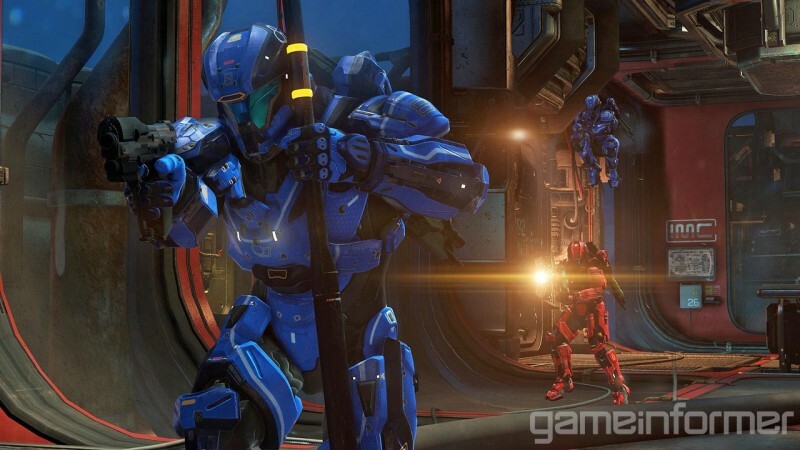 The game will launch with over 20 maps, and 343 plans to deliver more than 15 downloadable maps by June 2016. The best part? All of the maps will be free. Since the beta, 343 has been tweaking a lot on the Arena multiplayer front, and we saw firsthand how those changes are being implemented on the Empire map that takes place atop a futuristic skyscraper. “It was a really fun map in the beta, really well received. 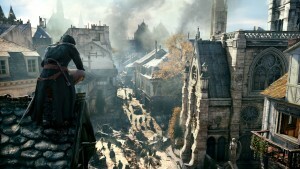 But there are some flaws to it that we had to address,” says multiplayer designer Quinn DelHoyo. One was a large window with two thin vertical cover strips. They weren’t substantial enough to provide enough cover, and it was annoying to try to shoot the guy who is dancing back and forth between the two spots. They ultimately decided to remove the strips altogether to leave clear shots for all. Halo 5: Guardians multiplayer beta fans will remember this base from the Empire multiplayer map. 343 Industries has altered the map in the months since based on feedback and data from the players. The stairs were blocked off to limit access to the base and vertical pillars in the window in the lower left were removed because the meager cover wasn't as fun as simply having a clear shot. A more dramatic change involves closing off certain entry points to the bases on either side of the map. “Basically through play testing and beta it just turned into this ring around the rosie churn and people were going into the base from all these different entry points,” DelHoyo says. We spoke to 343 Industries head and founder Bonnie Ross about the problems with last year’s ­Halo ­anthology. If you could do the Master Chief Collection launch all over again, what would you change? Obviously, we let our fans down, and that's not acceptable. Everything we do in Halo should be a triple-A experience. When we set out to do the Master Chief Collection, the original pitch that we wanted to do was sort of a war chest. Ship all four games separately. Package them up. And the team came up with this idea of this universal UI. 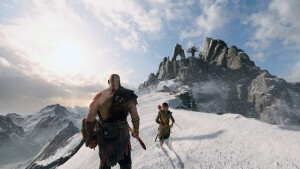 It is a magical experience when you can pull it all together and seamlessly move across games, but it's also ­very ­ambitious. I think when you look at that and being the first time for us being on Xbox One. New platform, new matchmaking. I think that actually kind of wrapping them all together... It's hard. I want the team to push for that because I do think that it's a magical experience, but I think that it definitely created ­huge ­challenges. In hindsight, it would probably have been better to ship the four games separately. And I think that fans would've loved that. We wanted to do more. We wanted it to be this gift to the fans. So breaking the games out of a bundle would have helped? That would be one thing. I would say that probably the biggest learning is, especially on a new platform, we should have done a beta. 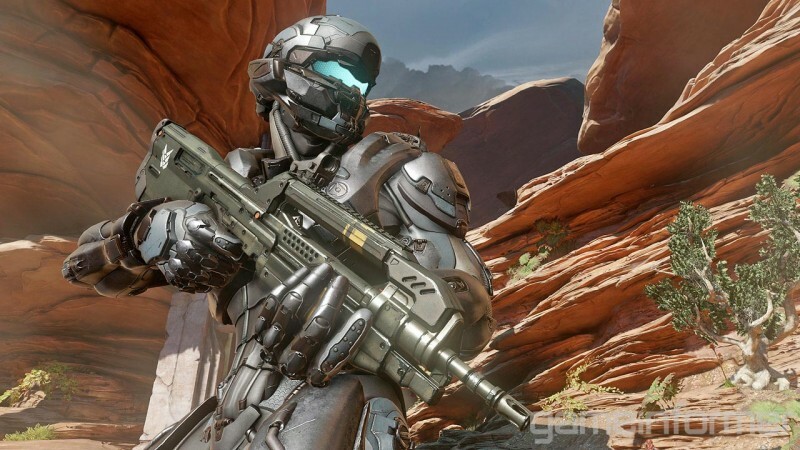 There is so much we learned with the Halo 5 beta. There is actually stuff we took from our Master Chief Collection — learnings that we were able to put into the beta. Going forward, you will never see a Halo game coming out without a beta. It was obviously painful for our fans and for us. But it won't happen again. There are things we put in place to make sure that we know everything, how it stands up outside and in ­the ­wild. Our final gameplay session consists of a new underwater base map never shown outside of the studio. 343 always has a story behind every map that places it in Halo’s vast lore. 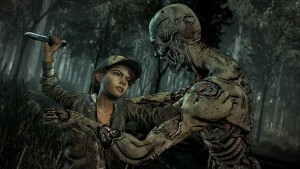 The detail-packed official ­description ­follows. UNSC Fathom is ostensibly a research base deep below the waters of the ocean world Beta Gabriel. In truth, the staff of the Fathom are treasure hunters. During the Covenant War, a team of Spartan IIs dispatched from the UNSC Of Uncommon Courage was tasked with infiltrating the Sangheili carrier Splendid Intention in an attempt to retrieve the plans for new Sangheili weapons so powerful that they would render the Covenant’s glassing cannons obsolete. Through a series of events as classified as they are unknown, the mission did not go as planned. Both Of Uncommon Courage and Splendid Intention were downed in the southern waters of Beta Gabriel, where the ships remain to this day, awaiting rediscovery by the crew of the Fathom. Fathom is symmetrical, so the creators implemented heavy red and blue coloring for easy reference no matter where you are. The ground floor central point is a diving station complete with futuristic diving suits in lockers on the wall. A power weapon spawn (currently a hydra) encourages players to fight for control of this room. If you look out the windows, you’ll notice a giant “space whale” and “space eel” swimming by. Look up and you’ll see the surface of the sea with sunlight sparkling in ­the ­water. A submarine is docked with a shotgun spawn on top. Currently, if you fall or get pushed into the water surrounding it you’ll die, creating a risk/reward scenario. Hallways toward the outer edges create battle chokepoints as they grant access to ramps that lead to the second floor of the central area where a sniper rifle power weapon spawn is waiting. This open walkway area offers a wide view of the map, but also leaves you vulnerable to attack from a lot of angles. Back on the ground floor, the red and blue areas both contain lanes with sightlines fit for medium to long-range weapons. A few metal boxes prevent you from seeing as far as you could otherwise, however. Players who study the map thoroughly will notice that if you shoot these boxes they’ll actually lower into the ground for a few seconds, allowing you to target opponents in a far off doorway. You can outsmart opponents in several ways once you know the map well enough. What the team call “Batman ledges” jut out from some walls, creating a nice snipe point or setting up a ground pound on unsuspecting opponents below. Half-open metal doors allow you to run and use the Spartan slide ability to pass underneath for a quick escape or a handy shortcut. 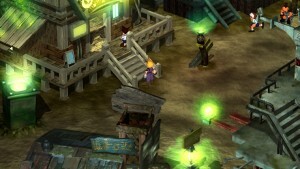 Look up for clamber points and you’ll find an open window you can use to get the drop on players in the ­outer ­hallways. Apart from Arena multiplayer, 343 teased another multiplayer mode that it’s keeping behind the curtain for now. The mind reels at what this new mode would entail. Fortunately, all will be revealed less than a week after this issue releases. 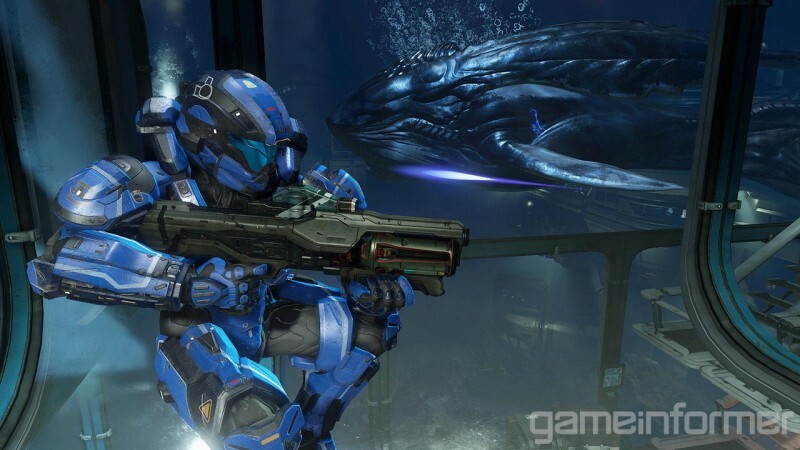 Return to gameinformer.com on June 15 when Microsoft is scheduled to hold a press conference in the morning and a gameplay event in the evening featuring Halo 5: Guardians. We’ll have a full report on this new mode and any other Halo-related news to come out of the show. 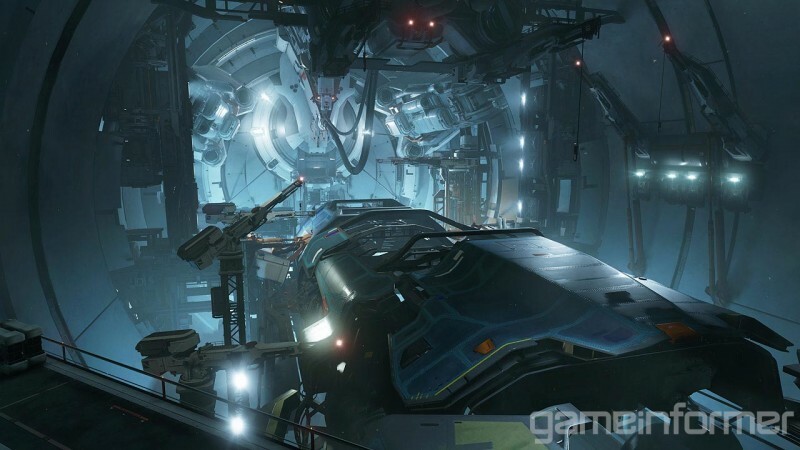 Want more on Halo 5: Guardians? Head to gameinformer.com/halo5 or click the banner below for video interviews with the team and in-depth features all month long.